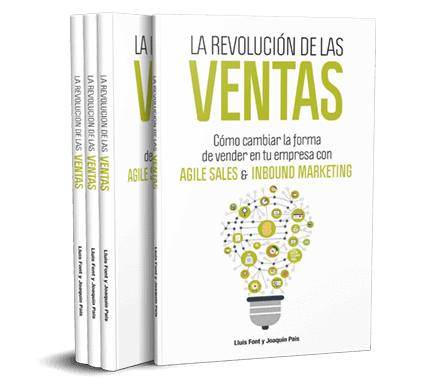 The books of Luis Font will put at your disposal the best tools to sell more and efficiently. You can also find all kinds of additional materials related to Inbound Marketing, Agile Sales and how to work with marketing and sales in networks. At present and in the era of industrialization digital marketing and sales, the evolution of the different ways to sell a dizzying change. This makes sense never has been so in the end renew or die so the subtitle of the book is “How to change the way you sell your company Agile Sales and Inbound Marketing”. This is the headline perfectly defines the purpose of it. The Internet has radically changed the world of business and has also changed the world of sales. The ways in which we contact and communicate with our customers have been transformed, customers now have much more knowledge about the products and services they buy and that forces sales professionals to provide much more value during the process. It was also the methodology Agile Sales was born seeing some fast and flexible business was able to grow really fast using new techniques and technologies and others constantly failed in their marketing and sales strategy. Agile Sales & amp; Marketing seeks to address in a more simple and effective new behaviors of consumers using all the resources that today we have within our reach: Inbound Marketing, Outbound Marketing, Social Selling, Technology Marketing Automation and CRM and the young science of neuro sales. What is inbound marketing? It is the new way to get closer to our customers is a new mentality, we must ensure that they are the ones who are interested in our brand and not the reverse. Therefore, we must create compelling content that customers value our company and have us as a reference. But besides creating content, there are other ways also to attract customers: the blog and social media, landing pages, videos, email marketing, SEO techniques… All these strategies are also part of Inbound Marketing. But it not only to know them, one must know also how to apply. What tool is best to do the blog? What often have to send emails not pushy? What is that SEO? However, the book is not only in attraction marketing. For this work we must also apply the Agile methodology we have before named. This fosters an environment of adapting to change and the environment. You need teamwork and self-organization; and fast delivery of tasks. This will allow a high level of customer participation in all phases of project management. “The Revolution of sales” is a book for directors and directors of marketing and sales for entrepreneurs, for those people looking to do things better and differently in enterprises. If you do not get the results you expect and believe that you can sell it in a different way this is your book. Social Selling consists of creating productive relationships in the medium and long term, using social networks. These interactions will be fundamental to our professional development as sales professionals. It is simply about building solid links. In the book, we explain in a simple and step-by-step manner how to have an outstanding LinkedIn profile that stands out from the crowd, how to share relevant information for our clients and how to contact our potential clients in a productive but at the same time cordial way. 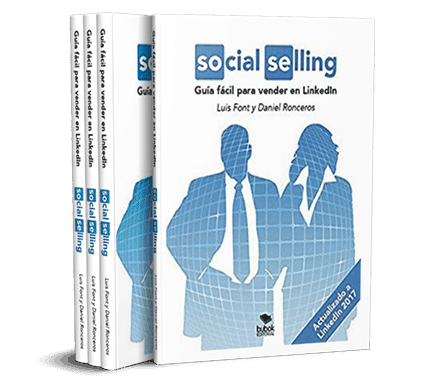 The book is aimed at both professionals who know LinkedIn, who will benefit from many hidden knowledge that is usually not explained, and professionals who are starting in this social network where they have a guide that can be followed in a practical way. The book is accompanied by a pack of resources on the internet that contains training videos, model templates and is completely updated to LinkedIn 2017.